I came home one day to a parcel by my door – that in itself was such a nice surprise. 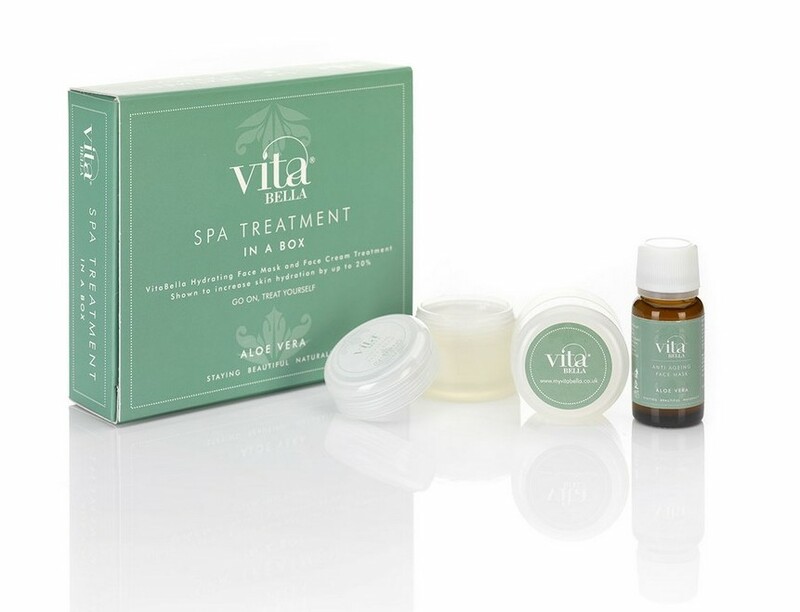 But as I open the parcel, I am especially happy to discover the VitaBella Spa Treatment in a box. My evening was saved. The way they’ve put it together is wonderful, the packaging is different and so beautiful. I had to build myself up a little before venturing into this home spa session of mine. When you see it you’ll know why, but I loved it. I opened the package to see two little containers and a bottle. One container held a tablet, which is the actual mask for the treatment, and the other 15ml Aloe Vera Hydrating Face Cream. The bottle contains the face mask, in the shape of hydration complex that you pour over the tablet. This makes it expand and allows you to unfold the face mask. I started out by watching their Step by Step instructions video so I’d do it the right way. But oh, how I love new and exciting products like this! After you have unfolded this fabric face mask, you smooth it over your face and leave it on for 10 minutes. So much fun! My skin felt very refreshed and soft afterwards I have to say, and to keep your skin hydrated and smooth you should also use the Aloe Vera Hydrating face cream that comes in the box. One good thing is that you can buy all these things separately to keep up with those spa sessions. All the products from VitaBella are inspired by and made in the region of Puglia in Italy, because of its strong history of natural thinking. Something I really liked when researching VitaBella is that they work hard to create products that really work, as well as being natural. They use individually picked Aloe Vera leaves and, within an hour, the Aloe Vera gel is extracted by hand in a traditional farmhouse found in the Puglian countryside – it sounds idyllic. The olives are picked by hand in traditional fashion from the groves surrounding the countryside farmhouse. You can find a nice collection of products from VitaBella, hand creams, leg cream anti cellulite cream and, something I’d like to try, the repair and protect gel. All products are organic – beautifully natural. You can find more details on their website: VitaBella Natual Skincare.